The latest edition of our Raspberry Pi Geek DVD series includes the following Raspberry Pi operating systems. Raspbian "Wheezy" 2014-01-07 – A Debian-based distro that has become the most popular option for Rasp Pi environments. Arch Linux ARM 20140106 – A simple, lightweight Linux admired for fast performance and an efficient package management system. NOOBS 1.3.4 – Multiboot tool displays a boot menu for installing your choice of Rasp Pi OS. NOOBS Lite 1.3.4 – Small-footprint network version of NOOBS – accesses installation files through a network connection. OpenELEC 3.2.0 – The Open Embedded Linux Entertainment Center turns your Pi into a home media center. Raspbmc 2013-12-23 – XBMC home media distro based on Raspbian. RISC OS 2013-07-10 – Not Linux, but a fast and light OS specifically designed for the ARM processor used in your Raspberry Pi. Unzip a distro and burn it to your SD card. Linux and Mac OS provide native tools for burning disc images. The Win32 Disk Imager utility is included on this DVD for Windows users. 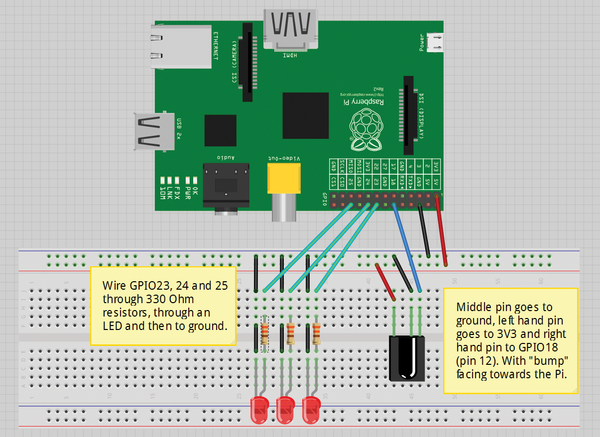 Figure 8 in the article "Controlling your Pi with an infrared remote" is incorrect in the print version of Raspberry Pi Geek, issue 03. The correct image is supplied here. Figure 8: Circuit for testing remote with LED lights. NOOBS 1.4.0: Choose your favorite Pi distro from a convenient installation window.